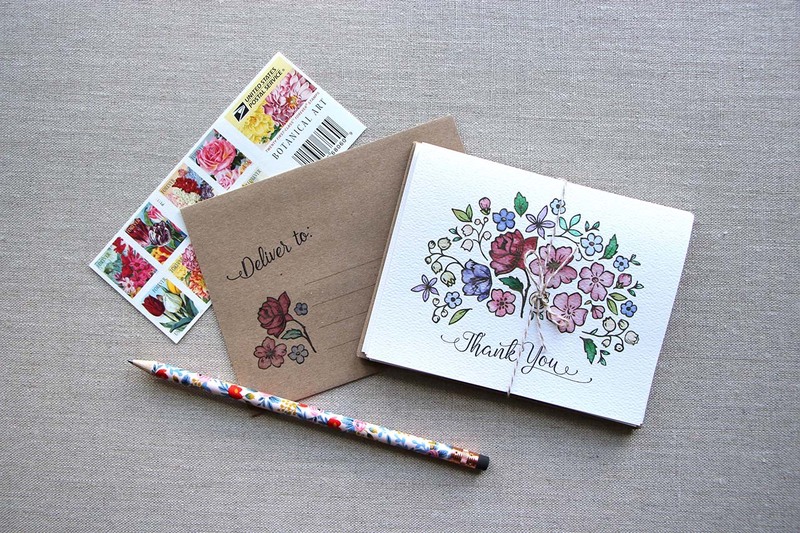 Send a heartfelt thank you that will definitely bring a smile to your recipient. How much fun would it be to get one of these envelopes in the mail? 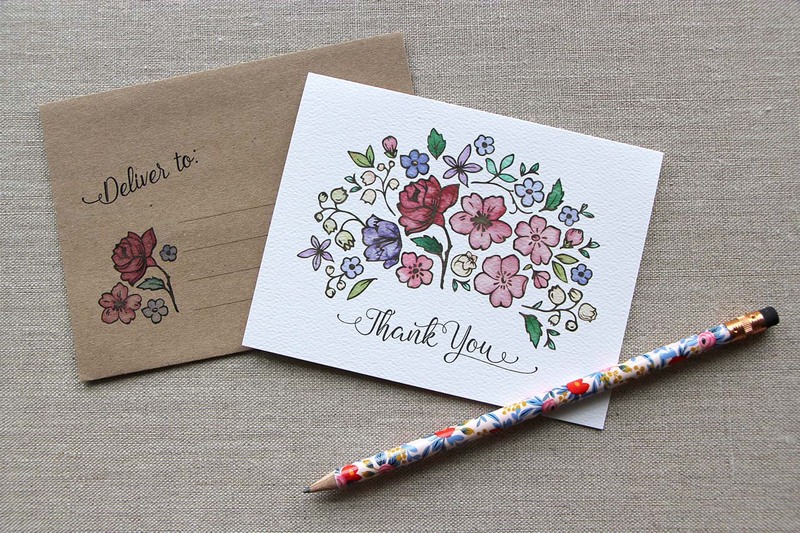 Watercolor flowers in shades of cream, blush, raspberry, violet and blue are strewn across these Thank You Notes. 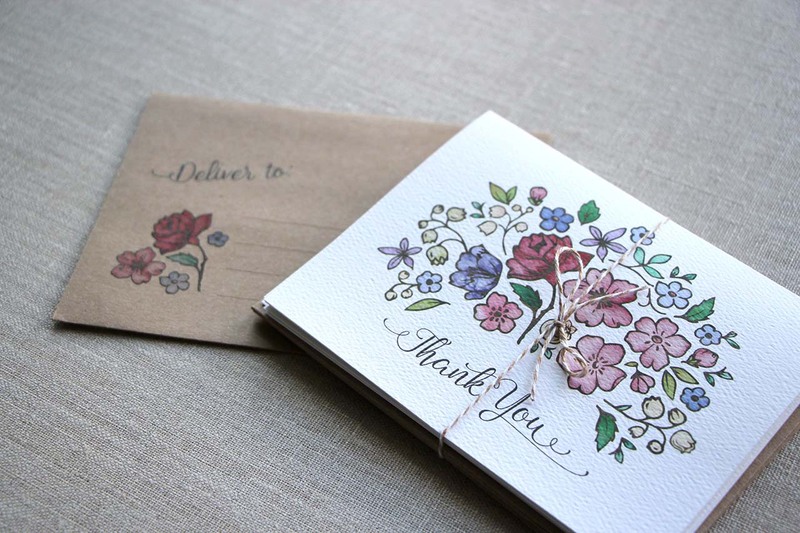 Printed Kraft paper envelopes add an extra special touch for delivery. 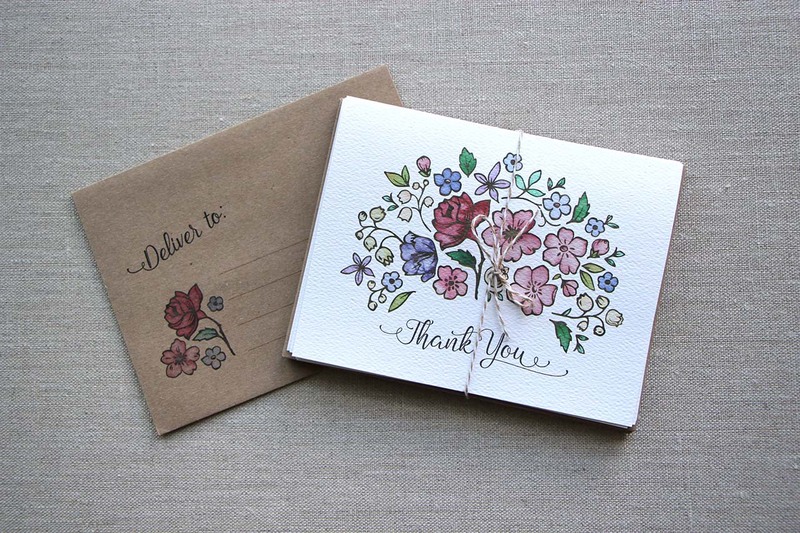 Each packet includes 6 folded cards on thick, textured water color paper with matching envelopes. Interior is left blank, leaving plenty of room to write. A2 Size.